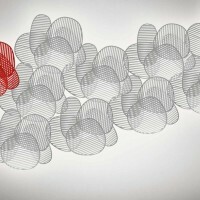 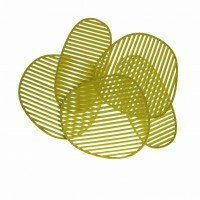 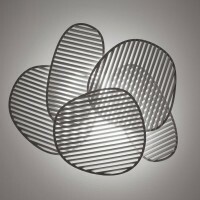 Philippe Nigro has designed the Nuage lamp for the Italian lighting manufacturer Foscarini. 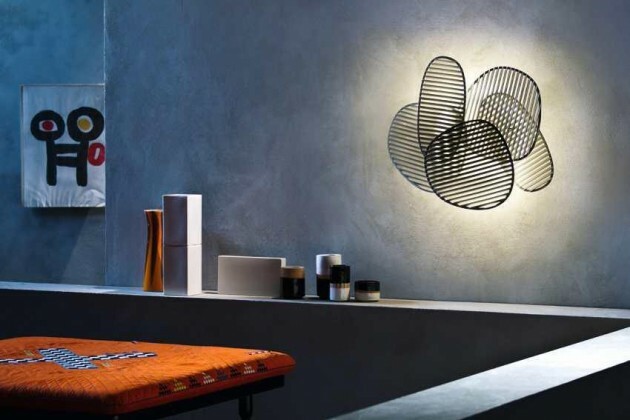 Developed under the concept of modularity, Nuage is a three-dimensional light square, which fits well either on its own or placed in extravagant and flexible lighting compositions, until an entire wall or ceiling has been covered. Philippe Nigro, through the repetition of lines and grids, wanted to create an object that was essentially graphic art, that was not looking to obtain a purely decorative effect but rather to develop a concept. 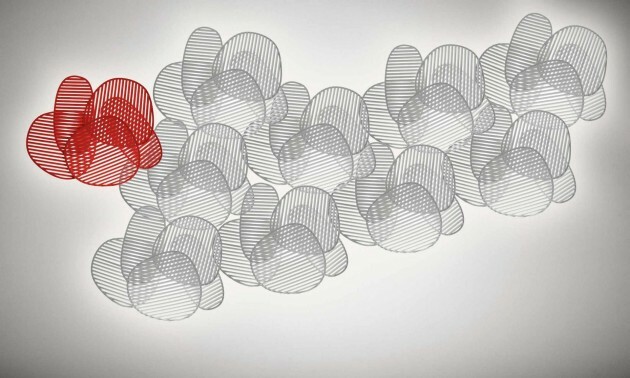 The gills that run through it, not flat but rendered three-dimensional by injection moulding, are distributed according to a particular angle, carefully studied to filter the light and obtain unique effects. 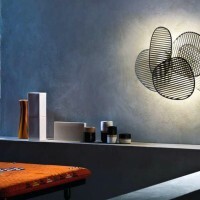 The aesthetic richness and striking theatrical effect which never cease to fascinate even when the lamp is out, are derived from the design’s simplicity and strength.